Few authors have matched the versatility and stylishness of Walter Jon Williams. His genre-defining novels have received wide critical acclaim and captured the rapt attention of fans worldwide. He has been nominated for every major SF award. 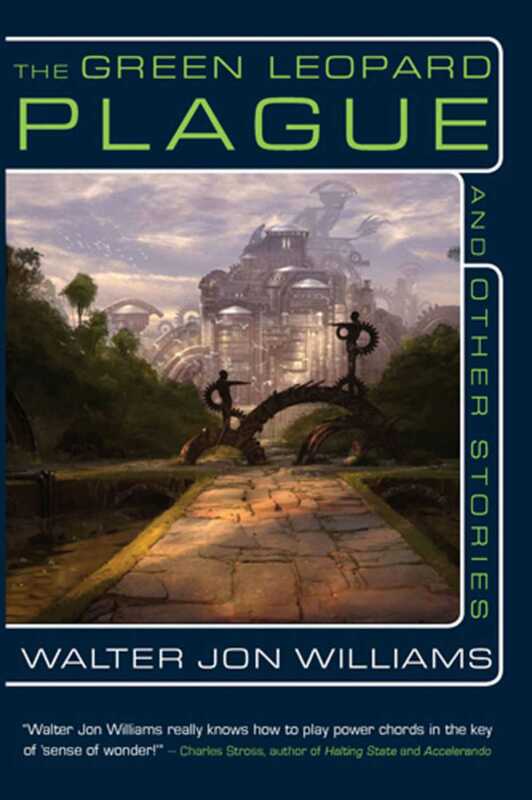 The Green Leopard Plague and Other Stories contains nine bleeding-edge tales showcasing Williams’ flexibility, power-chord storytelling, and engagingly human and post-human characters. From Walter Jon Williams, author of more than twenty novels, including This Is Not a Game, Implied Spaces, and the definitive cyberpunk novel Hardwired, comes The Green Leopard Plague and Other Stories, a stunning collection of short fiction including the Nebula Award-winning stories “Daddy’s World” and “The Green Leopard Plague,” and featuring an introduction by Charles Stross, plus in-depth story notes.